Save cash by booking a Baltic travel package. Just pick out your favorite options and let Expedia do the rest. Within a matter of minutes, you'll be able to book everything you'll need for your next vacation through our enormous database. And — with more than 400 partner airlines and 321,000 properties from across the world, you'll have the flexibility to mix and match! There's no limit to the number of wonderful things you can do when you're somewhere new. So why not get your trip to Baltic off to the perfect start by taking a look at some of our recommendations? After all – out there starts here! Refined decor, sparking lights and debonair dealers are just a few of the things you'll find at Mohegan Sun Casino. Go for an amble around the blackjack tables or simply relax with a cocktail in hand and take in the atmosphere. Adventurers have an abundance of choice nearby. If you're sick of eating indoors, grab some takeaway and enjoy a hearty lunch among the trees at Upper Falls Heritage Park. Still have time to spare? It's not easy to imagine how generations past managed at home without all the appliances we take for granted today. Step through the door of Leffingwell House Historic Museum and learn how they did. If you're seeking out cheap vacations or luxury getaways in Baltic, it's wise to book a place to stay in advance. There are just 3 Expedia properties currently available. 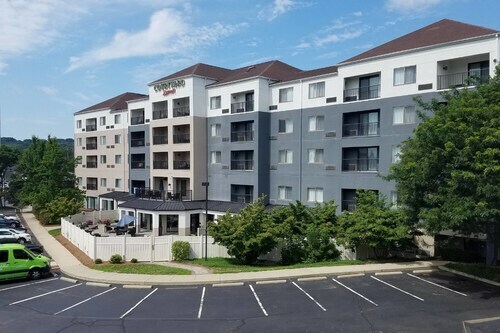 The Courtyard by Marriott Norwich (181 W Town St) and the Comfort Suites Near Casinos (275 Otrobando Ave) terrific accommodations. Why not look into the services and amenities and then select one? We know the airport won't be the most memorable part of your getaway, but there's nothing like the excitement of knowing that your well-earned trip to Baltic is just a plane ride away! Once you hit the tarmac at Bradley International Airport (BDL), you'll be 35 miles (56 km) from the middle of town. Situated in North Stonington, this spa hotel is 2.9 mi (4.6 km) from Jonathan Edwards Winery and within 6 mi (10 km) of Foxwoods Resort Casino and Lantern Hill Trailhead. Stonington Vineyard and Lake of Isles are also within 6 mi (10 km). Hyatt Place Mystic is on the Connecticut shoreline, a 12-minute walk from Mystic Seaport, one of the world's largest maritime museums. Mystic Aquarium is a 10-minute walk, while Misquamicut's beaches are 20 minutes by car. Amtrak Station NLC is a 10-minute drive from the hotel. Situated near the beach, this hotel is within 1 mi (2 km) of Mystic Aquarium and Institute for Exploration, Mystic Seaport - The Museum of America and the Sea, and Mystic Seaport. Stonington Vineyard and Foxwoods Resort Casino are also within 9 mi (15 km). Located in the heart of Preston, this hotel is within 1 mi (2 km) of Tanger Outlet Foxwoods and Foxwoods Resort Casino. Lake of Isles and Mashantucket Pequot Museum and Research Center are also within 3 mi (5 km). 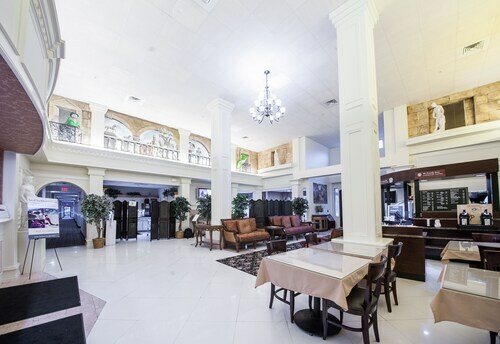 Situated in the historical district, this hotel is within 2 mi (3 km) of Norwichtown Mall, Leffingwell House Historic Museum, and William W. Backus Hospital. Slater Memorial Museum and Mohegan Park and Memorial Rose Garden are also within 3 mi (5 km).